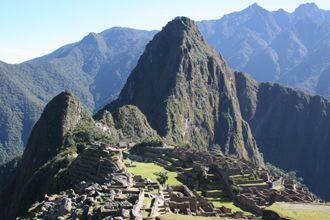 One of the most iconic trekking routes in the world, the Inca Trail is still the best way to reach Machu Picchu. 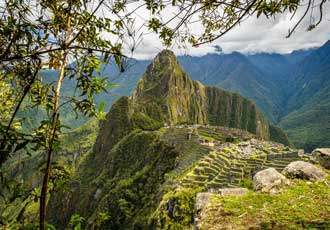 Over four days you follow the trail through atmospheric cloud forest, over high passes and past impressive Inca Ruins before stepping through the famous Sun Gate to gaze in awe at the lofty perch of Machu Picchu. 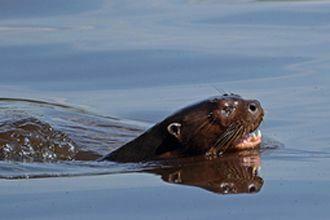 Fly to Puerto Maldonado and take a boat to an eco-lodge on the banks of a lake teeming with bird and wildlife. 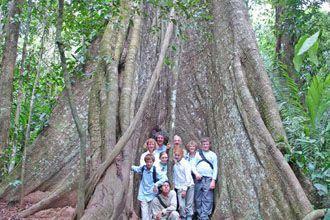 Spend a full day in the surrounding jungle getting up-close up to monkeys, giant otters and a host of exotic birds. Considered one of the great rail journeys of the world, a ride on an Orient Express train from Puno to Cuzco is a wonderful experience. There is a dining car, a bar and an observation car at the end of the train so that you can enjoy the superb and ever-changing scenery. Entertainment is also provided on board with local musicians and a fashion show of locally made clothing. 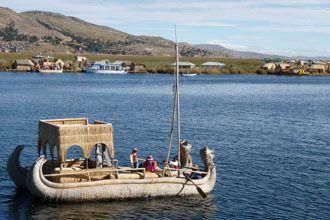 The highest navigable lake in the world offers real cultural interest as well as scenic beauty. The reed island homes of the Uros Indians are fascinating to see, whilst the inhabitants of Taquile island have their own dress and traditions. A full day’s boat trip will provide ample time to take in the colour and culture. 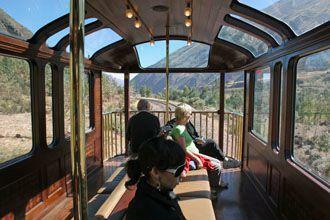 Take the Orient Express train from Cuzco to Aguas Calientes to visit one of the true wonders of the world. The spectacular setting, combined with the archaeological splendour of the ancient ruins, takes the breath away. 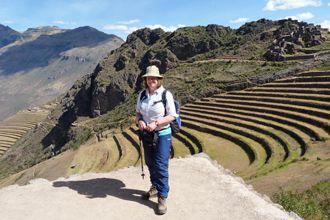 A full guided tour of the site, with time afterwards to wander through the ruins, is a must for any holiday to Peru. 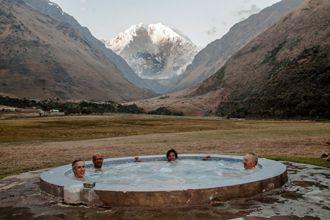 Browse some of our favourite experiences in Peru, and add any that take your fancy to your wish list. Numerous Inca sites can be found in the Sacred Valley around Cuzco including the extensive ruins at Chinchero, the Inca earthworks of Moray, the temple/fortress complex of Ollantaytambo, the enormous stone walls of Sacsayhauman and the impressive hill top complex at Pisac. 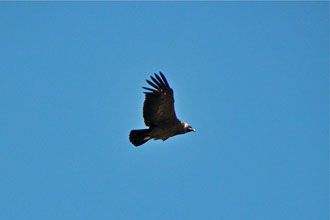 You can see them all over a couple of days – and then you should be fully acclimatised to the rarefied air. 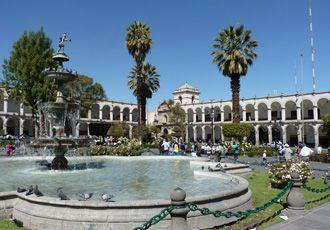 Considered to have one of the most beautiful Plaza de Armas (town squares) in Peru, Arequipa is a delight to explore. The cathedral, Santa Catalina Monastery and Ice Maiden museum - with its 500 year old mummy, are amongst the highlights. Handicraft shops, pretty gardens and relaxing cafes and bars all add to the sense of easy-going charm. Take a sightseeing flight to view the enigmatic Monkey, Condor and Hummingbird (alongside over 300 other figures) etched in the sands of the Pampa Colorada desert. Whether your interest is exploring Inca ruins, visiting colonial churches, bargain-hunting in Indian markets or just relaxing over a cappuccino on a terrace overlooking the Plaza de Armas, Cuzco has it all. 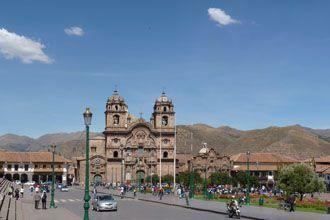 It’s also the gateway town of the Inca Trail. One of the world’s deepest canyons, Colca Canyon is also one of the best places to see condors take to the air in all of Peru. The canyon and surrounding valley are also home to indigenous tribes people famed for their traditional weaving and the whole area is scenically spectacular and quite unlike any other part of the country. 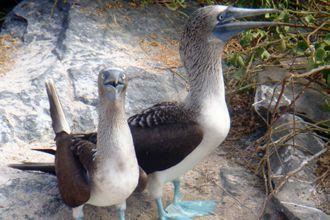 Like miniature Galapagos Islands, the land and water of the Ballestas are teeming with birds and wildlife. Pelicans, boobies, penguins and sealions are just some of the noisy residents. Nearby Paracas National Reserve is of even greater wildlife interest – home to numerous migatory birds and endangered species both on land and offshore. If you want to trek along ancient Inca paths, but stay in stylish lodges rather than under canvas, our 6-day luxury lodge trek is the answer. The high altitude trek travels between four delightful lodges in the Cordillera Vilcabamba each with great views, comfortable rooms, outdoor Jacuzzis and tasty cuisine. Perfect for relaxing after a hard day on the trail. Unearth Peru’s rich historic and cultural heritage with a tour of the numerous museums, colonial buildings and churches of the sprawling capital city. 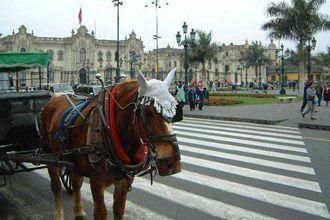 Or head to Miraflores for some upmarket shopping and to relax on the beach. Take a superb 11-day trek through the dramatic scenery of the Vilcabamba - heartland to the little-visited ruins of Choquequirao. Begin trekking from Vitcos, last refuge of the Incas, and visit the nearby ‘White Rock’ one of the most sacred Inca shrines. 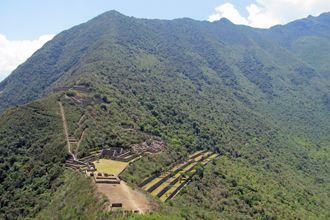 Spend two nights camping at Choquequirao with a full day to explore these incredible and remote ruins. Manu Bioshphere Reserve is a pristine rainforest wilderness and one of the largest conservation areas on earth. It is home to an incredible diversity of life, and offers some of the best bird watching in Peru as well as the best chance to see giant otters, jaguars, ocelot and several species of primate.